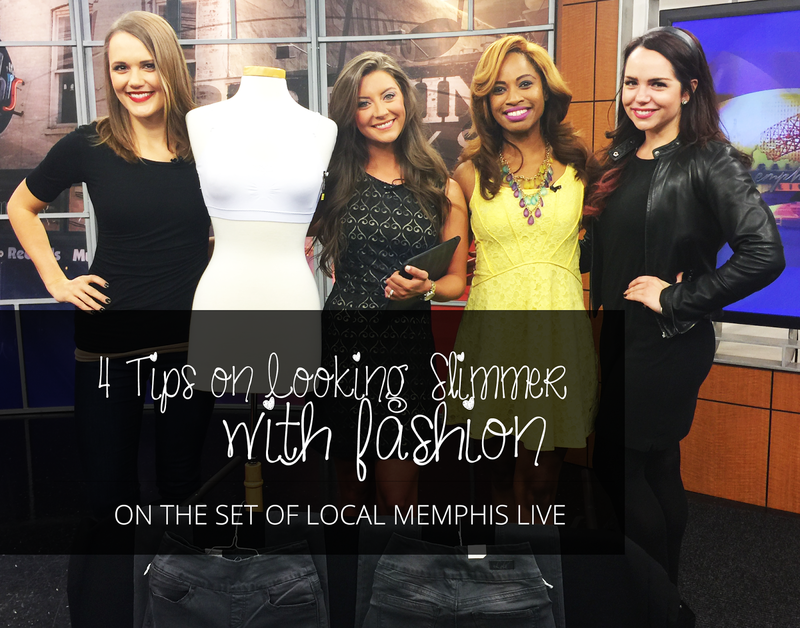 I had so fun this morning on the set of Local Memphis Live with Yelp talking about my 4 favorite fashion tips for looking and feeling slimmer. Ditch the lace up corsets and restricting under garments, go with a slimming multi-functional tank instead. My line of Ellen Anchor Reversible Tanks are not only slimming, but they are long for perfectly layering and are reversible with a scooped neck on one side, and a v-neck on the other. Often times our bras are actually fitted too tight. We don’t want those things to pop off, now do we ladies? But did you know, the clasp actually can cause “bunchage”, better known as back fat? When choosing a bra, you shouldn’t only buy for support. Choose a seamless, claspless bra to ensure that your clothing looks fabulous on your body! There is enough fabric under the arm area and around the back for smoothing and with no clasp, there is no worries of unwanted back fat. I recommend the Coobie bra for the perfect amount of support and “seamless” slimming fashion. In the segment I am wearing a top that has ruching across the tummy. No matter, age or size, ruching is EVERYONE’s bestfriend. You can quickly and easily hide anything that may be going on in the tummy area and look instantly slimmer. Just in case you are unsure of what this is, I have attached the definition below. Ladies, jeans can make or break your attempts to look slim! Do not skim when it comes to your denim. There are many slimming jeans on the market but the first, and my favorite, is the Lola Jeans. All of their pull on and button on styles are built to slim the silhouette and lift the back side for a longer, leaner, SLIMMER look. My favorite wash this season is the Anna HGRY. More Lolas Here. 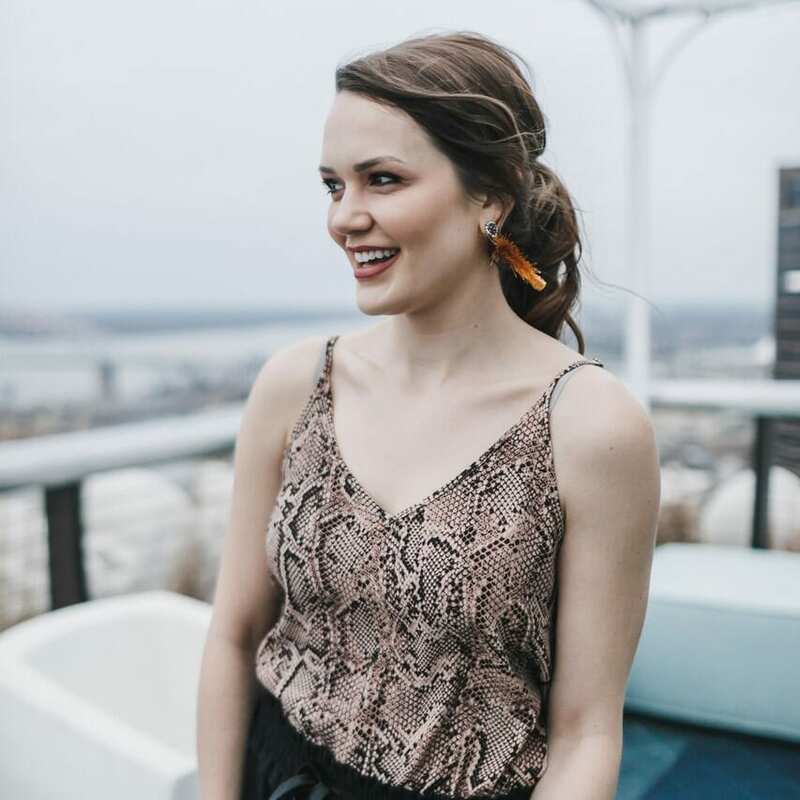 Now if you missed the segemnt… or if you just want to go back and count how many times I said “um..” ( I am working on that 🙂 Check out the video below and as always, thank you for taking the time to read my blog! I recently got one of your Elle and Anchor tops and I love it! I am so glad you are enjoying it! I swear by them 😉 Did you know they are ALWAYS buy 2 get one 30% off at both The Attic, The Ivory Closet, and in our online shop at http://www.ivorycloset.com? Hope to see you in the shop soon!